I discovered today that it is, in fact, possible to read a book while sitting on the floor and drilling knee shimmies by attempting to whack the backs of my knees against the ground. This is not an uncharacteristic experiment for me -- when I was a teenager I discovered that I could enliven boring errands by writing in a notebook while I followed my parents around the store. Today's practice also included dancing to music, practicing zills, practicing spotting while spinning, and dancing around to music while I did housework. It was not a particularly spectacular practice, especially where the zills were concerned. I'm feeling generally off still (no headache, thankfully). 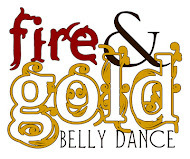 Hopefully two nights in belly dance classes will rekindle my dancing fire.